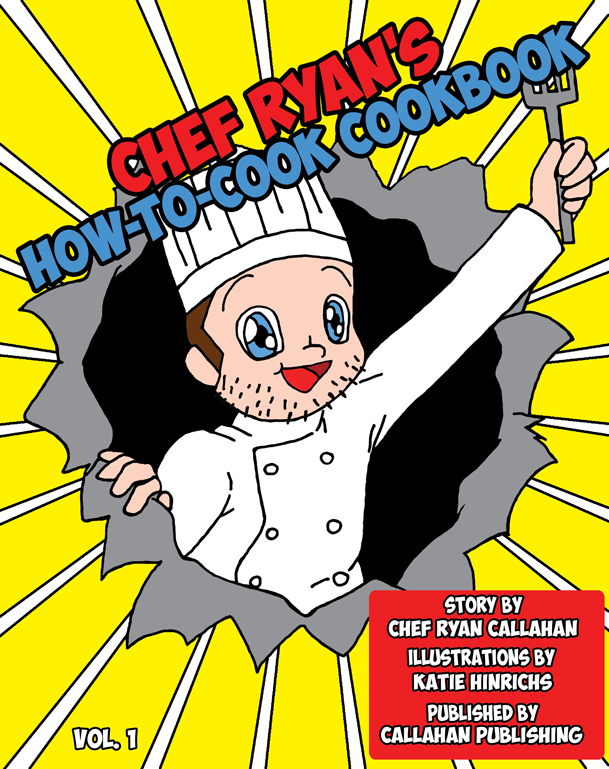 Welcome to Chef Ryan Callahan's personal website dedicated to the discussion of food, flavor, cooking techniques and the people inside of the restaurant industry! If you came here looking for whether or not Miso contains MSG then you came to the right place. After reading this you'll be fully informed about the relationships between MSG, Soy Sauce, Miso Paste, and Umami flavors! These days there is a word that you will hear everywhere, especially if you watch the certain cooking and food focused television networks, or go to a higher end restaurant where the chef is trying to be pretentious. That word is “Umami.” It is usually followed by the words “Miso” and “Soy” and the combination of the words looks something like “A delicious Miso-Soy broth to really highlight the Umami flavors of the dish.” These words don’t mean anything to you. Heck, odds are that you're on this page right now because you did an internet search for those words. But, what they actually mean is that they have used Miso soup base and soy sauce to build the savory flavor. By using these words, they trick you into thinking and believing that this is some kind of magical Asian fusion that only master chef’s can make. But all they have done is use foods that have naturally occuring high concentrations of glutamic acid to build the savory characteristics of their food. This is kind of like how these days everyone says "chocolate ganache," let's get real, its chocolate frosting and you know it. The secret here is that many of the people who cook professionally do not understand the relationship of the 5 flavors and how they work to build flavor. They simply repeat cooking techniques that they learned at other jobs or techniques that they learned from other chefs. Then, they simply repeat these techniques and trendy naming strategies. This lack of understanding leads to a lot of confusion and misinformation that has been disseminated over the years, whether maliciously or unintentionally. The misunderstanding we will explore in this article is very specifically about the concept of savory or as the Japanese call it, Umami. As we have previously discussed, savory is a basic flavor sense that you experience on your tongue. It is the sense that tells you this food is full of nutrition. It is most typically associated with the presence of proteins, which is why the easiest example of a savory item is a grilled steak. When chefs use miso, soy sauce, or MSG, what they are doing is adding that savory flavor without having to add extra ingredients like beef, mushrooms, red wine, seaweed, or tomatoes. The most simplified form of the concept of savory is in a product called MSG. This MSG is one sodium ion attached to a very savory and naturally occurring amino acid called “glutamic acid.” When glutamic acid isn't being utilized by your body it exists in a form called glutamate. This is what the sodium ion binds to, hence why it is chemically called Mono-Sodium Glutamate. Interestingly, of all the free amino acids contained within your blood glutamate is the most common accounting for 40% of the amino acids in your blood, which is potentially why blood has a very savory flavor. Yes, that's right boys and girls it is inside of your own blood flowing through you every day. Potentially, that could be a very proposition if you don't understand what it is. What MSG does is provide a chemical called glutamate to your tongue. Glutamate is a naturally occurring organic chemical that when ingested tells your brain, “This is savory, rich, and delicious.” Glutamate occurs naturally in all foods we eat and cook with, except for ones that are not derived from plants, animals, or fungi. Examples of foods with highly concentrated deposits of glutamate are: anchovies, kelp, red wine, green tea, soy sauce, meats, poultry, miso, and mushrooms. 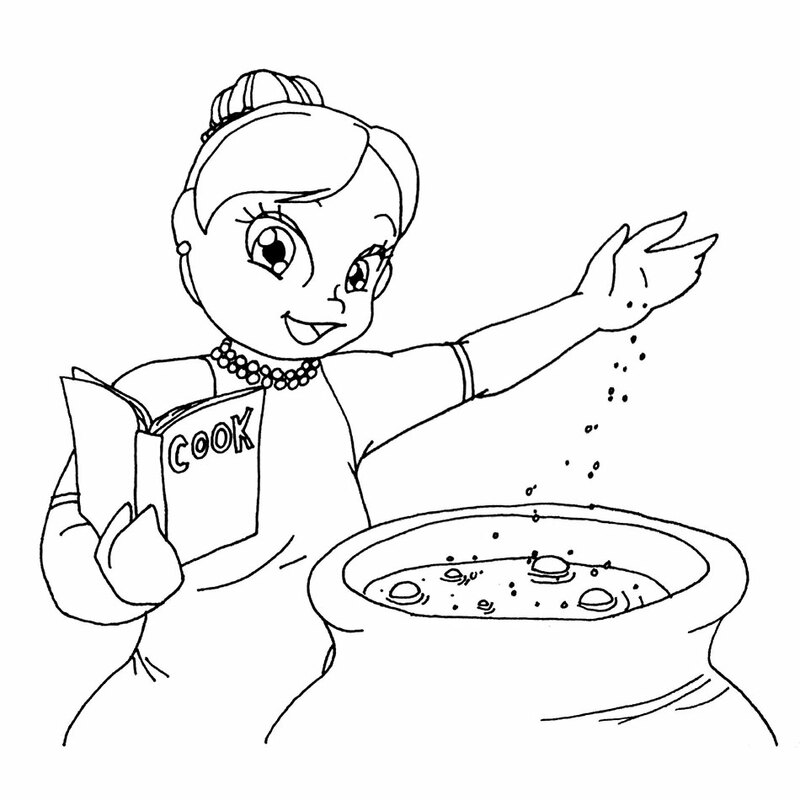 Adding MSG to your food is akin to adding salt for a salty flavor, or cayenne for a spicy flavor. Because it has no other flavor characteristics it simply bolsters the desired savory flavor without adding any other distinct flavors. MSG was discovered by Japanese researcher Kikunae Ikeda in 1908 by creating a crystalline extract of glutamic acid from seaweed. He discovered this while eating miso soup and wondered why a soup with absolutely no meat in it was so savory. For your reference, miso is a paste made out of fermented soybeans, and then often made into a vegetarian soup broth made with kelp, which is a type of seaweed. He then experimented with the kelp until he could extract a concentrated and dry version of that savory flavor. Today, we know this extract as MSG. Sometime in the 1920s, Dr. D.Y. Chow, from the National Dyes Company of Hong Kong, developed the process for extracting MSG from wheat. This is how it is still produced today. (Reference: The Wok, by Gary Lee, Nitty Gritty Cookbooks) The main problem with MSG is that people use too much in their cooking, because quite frankly it makes everything instantly delicious! MSG by itself has very little flavor aside from the instant savory feeling in your mouth. But when MSG is applied with salt, it becomes a flavor explosion! The problem here as you can see, is you end up saturating your food with sodium. Sodium can be disastrous for someone with heart disease or high blood pressure. So when I cook and intend to use MSG in addition to salt, I reduce the amount of salt to allow for the extra sodium contained in the MSG. The only documented and medically reported side effect to MSG is occasionally it will cause headaches in certain people. Now remember, this is a super small group of people who have any kind of adverse reaction. If these people were truly allergic to glutamate, they would have headaches anytime they ingested foods that naturally have high concentrations of glutamate. IE: chicken, fish, beef, etc. I personally think that it is the additional amount of sodium causing the headaches in salt-sensitive people. Or, more than likely, it is a slight dehydration experienced from too much sodium intake. A good rule of thumb with MSG is to use no more than 2 percent of the weight of the recipe. The most groundbreaking part of MSG is that you can make entirely meatless broths that taste amazing. IE: hot and sour soup, egg drop soup, miso soup, vegetarian vegetable soup, etc. This is especially helpful for vegetarians and vegans who are having trouble making their food taste great. MSG is typically marketed as “Essence of Umami,” “Umami Extract,” “Umami Seasoning,” or some variation on the word “Umami.” Umami is the Japanese word for savory, as the researchers who discovered the sense of savory on your tongue were Japanese. While miso, soy sauce, and MSG are savory in taste and can bolster savory flavors, please remember that savory, aka Umami, is not a food product, but a basic flavor sense found on your tongue. If you would like some evidence that the MSG scare is still alive and well in peoples consciousness, simply go to your local grocery store, Asian market, or Asian restaurant. You will readily find packages and signs proudly proclaiming “NO ADDED MSG.” They have to say NO “ADDED” MSG because glutamic acid is a naturally occurring substance found in almost all food, and living organisms. I am not trying to convince you to put MSG into all of your food. I am simply suggesting it as a convenient seasoning to make your food taste great. Now if you are still scared of MSG, you can absolutely go the long way around and add some of the other examples I’ve listed to make your food more savory. (anchovies, mushrooms, bay leaves, soy sauce, parmesan cheese, tomatoes, etc.) But, it will take longer, generally cost more, and will require more product weight to make the same flavor. I can make sauce, gravy, and other dishes incredibly savory, decadent, and delicious without the addition of a little glutamate extract. I just simply don’t want you living in fear of MSG because of ill informed and fear based health food movements that have no idea what they are talking about. Miso paste is a fermented paste made by aging soy beans with salt, koji and other ingredients until they have a very concentrated flavor. It contains high amounts of glutamic acid and salt, but not MSG extract. Soy Sauce is a fermented sauce made by fermenting soybeans and salt. It too contains high amounts of glutamic acid and salt, but not MSG extract. Monosodium Glutamate is a stable crystalline extract of glutamic extract, typically made from wheat. Now if you are looking to buy some MSG, trust me on this one. Buy MSG from your local Asian market. It will be much cheaper than any other store. For more great reading on Mono Sodium Glutamate, I recommend reading “It’s the Umami, Stupid. Why the Truth About MSG is So Easy to Swallow” by Natasha Geiling, featured in Smithsonian Magazine’s website November 8th, 2013. If you enjoyed this article, I hope that you will share it with your friends, and continue to read the rest of my website!